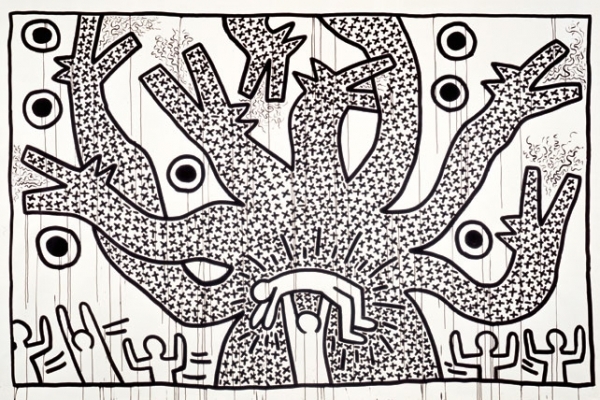 Keith Haring (American, 1958–1990). Untitled, 1982. Sumi ink on paper, 107 x 160 in. (271.8 x 406.4 cm). Collection Keith Haring Foundation.